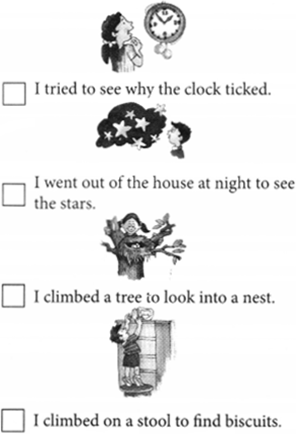 NCERT Solutions for Class 2 English Chapter 12 Mr. Nobody are part of NCERT Solutions for Class 2 English. Here we have given NCERT Solutions for Class 2 English Chapter 12 Mr. Nobody. This poem is about a little man named Mr. Nobody. The poet believes that he is the cause of every mischief done in everybody’s house. The poet further tells that nobody ever saw this little man. But he is sure that he is the only mischief-maker. Mr. Nobody is a small little man who is a mischief-maker in every house. Has anyone ever seen him? क्या किसी ने कभी उसे देखा है? No, nobody has ever seen him. Is there a Mr. Nobody in your house? क्या तुम्हारे घर में ‘श्रीमान कोई नहीं है? No, there is no ‘Mr. Nobody’ in my house. Have you ever done something naughty? क्या तुमने कभी कोई शरारत की है? Yes, a number of times I have done something naughty. I hit the glass of window of my drawing room while playing cricket. I accepted my fault and said sorry of my mother. Sometimes you want to look and find things for yourself. Tick (√) those that you did. Tell your friends. Make groups of five children each. Each group takes a big chart paper. (i) Each group draws a Mr. Nobody. (ii) The first child draws Mr. Nobody’s head. (iii) The second child draws his clothes. (iv) The third child draws his arms. (v) The fourth child draws his legs. (vi) The fifth child draws Mr. Nobody’s hair. (vii) Look at Mr. Nobody. Isn’t he a funny man? Colour him. Add ‘no’, ‘some’ and ‘every’ to the word body to make new words. (i) Write your father’s name as Seema did. (ii) Write your mother’s name as Ram did. (iii) Write your mother’s name as Ram did. 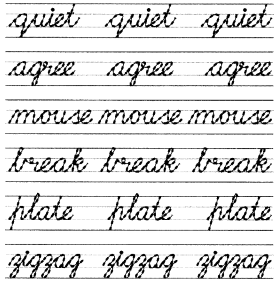 (iv) Use ‘Mr.’ and ‘Mrs.’ to write more names you know. Who goes this way and that. His coat or shoes or hat. Where things are put away. (v) Can you make zigzag lines? See how the zigzag boy runs. 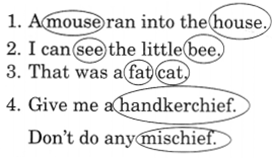 We hope the NCERT Solutions for Class 2 English Chapter 12 Mr. Nobody, will help you. If you have any query regarding NCERT Solutions for Class 2 English Chapter 12 Mr. Nobody, drop a comment below and we will get back to you at the earliest.